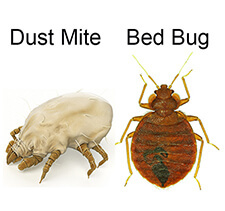 I had a serious and distressing case of bed bugs in three bedrooms of my home. I invested in the bed bug mattress cover, killer powder and barrier tape. With the help of the instructional video I quickly protected my home and got rid of the pests. It’s now been three months and I haven’t seen a single one. It’s amazing knowing I have peace of mind that these options work long term and has saved me a huge expense by not hiring a pest control specialist.